Transit Part 1 - Is it a UFO or just Venus? - The Sun Today with C. Alex Young, Ph.D. Transit Part 1 – Is it a UFO or just Venus? Bazinga! 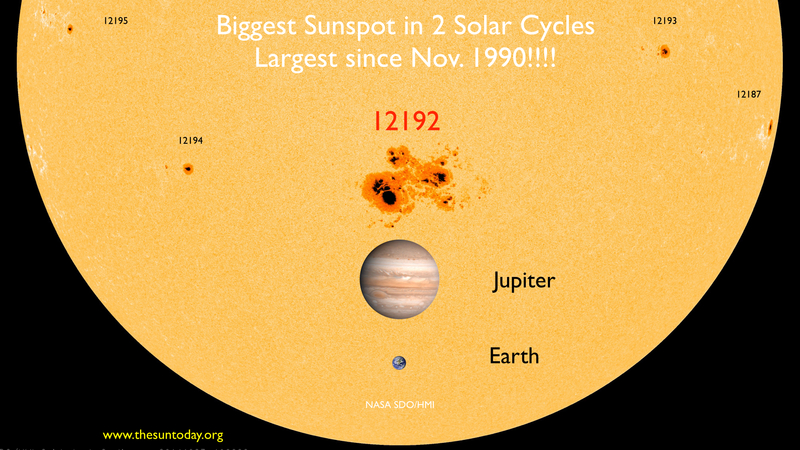 Largest Solar Flare Yet for Solar Cycle 24!! This image from the SOHO LASCO C3 coronagraph shows four planets in the field-of-view along with the Pleiades star cluster and a halo CME. A composite image from SOHO LASCO C2/C3 and SDO AIA showing Venus (bright UFO-like object) and a coronal mass ejection (CME) visible in LASCO C3. If you have looked at data from the SOHO LASCO C3 coronagraph over the last week or so you may have noticed the very bright object in the field-of-view. You might even think it looks like a UFO. You are not alone. People often mistake objects like this for flying saucers but it is in fact planet. It is Venus! At the very start of the video the bright planet is not quite within C3‘s view. But it is so bright that it already makes its presence known before it is visible. Light from Venus is visible for a few days before the planet is actually in the field-of-view. Not unlike when at night the glow of bright headlights from a car around a bend can be seen before the car is actually visible. Coronal streamers are visible as well as a coronal mass ejections (CMEs). Planets and comets are often observed by LASCO, which views as far out as 30 solar radii (a solar radius is almost 700,000 kilometers) in distance out from the sun over 2 million kilometers. The figure below shows an example of several planets as well as a star cluster and a CME observed by LASCO C3 at the same time. The planet is so bright, too much for C3‘s CCD, that lines extend out from either side giving almost a flying saucer shape. Venus and other planets are often mistaken for flying saucers. You may have seen a similar effect when taking a picture of a very bright object such as the sun with a digital camera. The time and direction of planets moving through C3′s view (called a transit) are well-known and calculations of past and future transits can be found on the website devoted to comets observed by LASCO. This particular transit of venus will be in C3‘s field-of-view from July 18, 2011 until September 15, 2011. To make your own videos like this and more or to see videos others have made showing Venus see this post at helioviewer.org.